Brake dust and road grime are relentless. 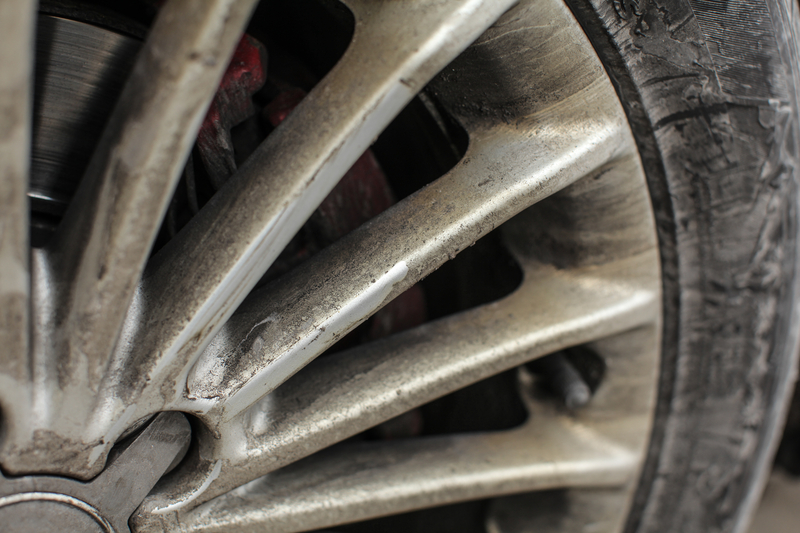 Left untreated, the filth can permanently damage wheels, effectively degrading the vehicle’s overall appearance. “Brake dust isn’t related to a mechanical issue, but it’s an eyesore,” said Mike Pennington of Meguiar’s Inc., Southern California-based company producing waxes and polishes. The dust is a byproduct of the braking process. Friction caused by various braking components throws off particles that combine with road grime and adhere to the wheel. There are plenty of options and products to remove brake dust, Pennington said, but first drivers need to know what they are working with. Some wheel cleaners are highly acidic and should only be used on chrome wheels because the finish is hearty and durable, he said. Owners of custom, aluminum or specialized wheels should use a cleaner with a neutral pH balance. “You want to find something that removes grime without damaging the wheel,” Pennington said. A pressure washer is a chemical-free option for cleaning wheels, Pennington said. The same soap used to wash your car can be used on wheels, he said, just be prepared to use some elbow grease and have a wash mitt exclusively for washing wheels. A brush with soft nylon bristles should also be at your disposal for washing away brake dust. Selecting the right cleaner and method are only part of the chore, Pennington said. Always read the instructions beforehand and work on only one wheel at a time. That reduces the likelihood of getting distracted by a text or call. “Leaving wheel cleaner on a wheel for too long can cause permanent damage,” Pennington said. Unfortunately, brake dust remains a challenge for drivers who want to keep their vehicle looking great. Nothing can prevent dust from accumulating, Pennington said, but applying a coat of wax to wheels can provide a layer of protection. Brake dust is a byproduct of friction during the braking process and does not necessarily indicate a mechanical problem. Remove brake dust and road grime frequently from wheels to avoid permanent corrosion, pitting and discoloration. Test wheel cleaner on a portion of one wheel. Importantly, read the product label before applying. Determine the type of wheels you have before applying cleaning products. Some wheel cleaners are highly acidic and can stain powder-coated, aluminum or custom wheels. Never work on a hot wheel since heat can cause some wheel cleaning chemicals to become more abrasive. Let your vehicle cool down. Consider alternative methods for wheel cleaning such as regular car washes combined with a pressure washer. Or use a soft-bristled nylon brush or a wash mitt. Always wear eye guards. Wheel cleaner and brake dust are corrosive to wheels and may damage your eyes. Use a light spray of water from a nozzle to remove cleaner and avoid splashing.